Getting personal: How will AI and facial recognition transform retail? As consumers, we’ve had decades to become used to the sight of security cameras within the retail stores we visit. We know we’re being watched, but increasingly the footage being collected in brick and mortar retail outlets is performing a dual role. Up to 59% of UK retailers now use creative retail solutions such as artificial intelligence algorithms and facial recognition technology to make their stores safer. But facial recognition isn’t just about collaring known criminals. With the technology set to hit the mainstream in the next few years, brands are beginning to experiment with its potential to create personalised, seamless shopping experiences. In this article, we’ll explore the potential of creative retail solutions AI and facial recognition in transforming brick-and-mortar retail for the better. Personalisation has long been an area in which online retail has had an edge over traditional bricks and mortar. But a shift means that it may not be long until you can walk into your favourite store, be greeted by name, and be informed about products and services curated especially for you. 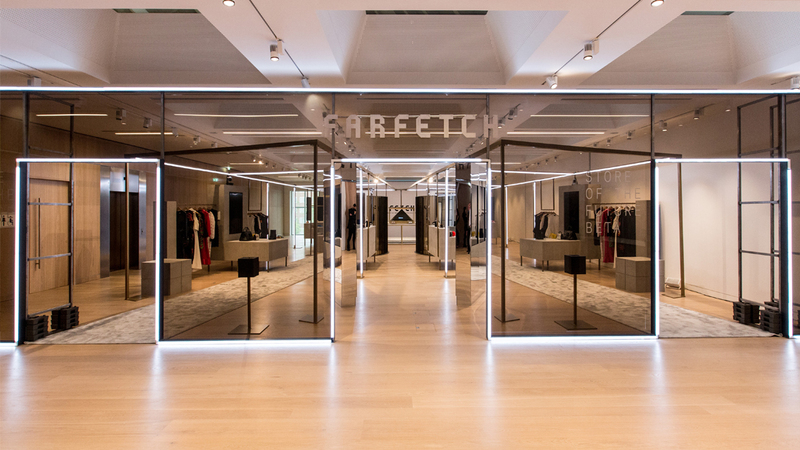 Early adopters have already started to prove the concept, with luxury retailer FarFetch trialling a ‘Store of the Future’ platform that alerts shop assistants to visitor’s shopping behaviour as soon as they step into the store. Even the clothes rails are wired with specialised technology, meaning any products that customers physically pick up in-store are immediately linked to their mobile device, while the changing room features a digital wish list and instant checkout. This move towards a hyper-personalised luxury shopping experience has even caught the eye of Chanel, with the brand announcing its partnership with Farfetch in 2018. Any advertiser worth their salt will tell you that one of the best ways to sell products is to engage the customer on an emotional level. But how can you tell if they like what they hear? Enter emotion tracking. Large retailers are increasingly trialling “emotion AI” systems to gauge shopper sentiment while browsing and checking-out. The system detects the facial expressions of individual shoppers, while the AI classifies and interprets the emotions they appear to be at a given moment. 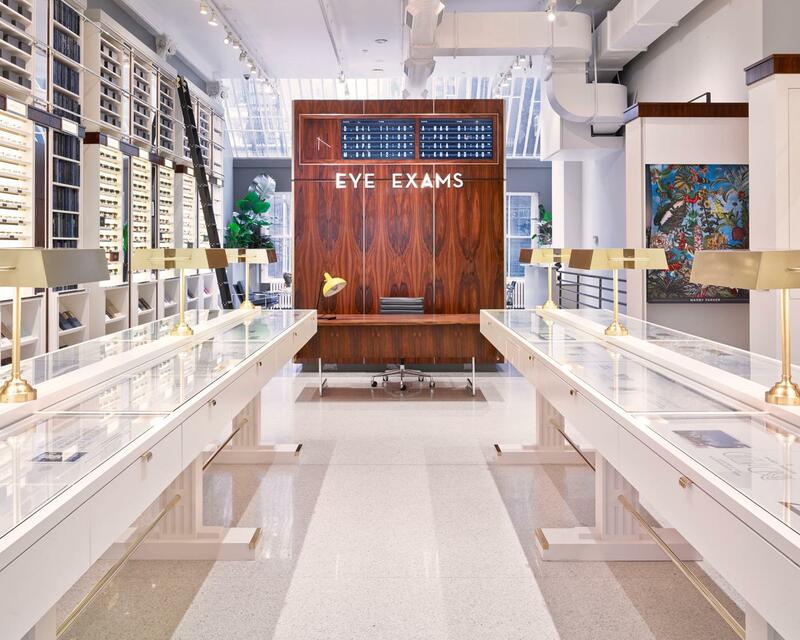 For retailers and retail designers alike, the potential of this tech is huge. Offering unparalleled insight into the emotional reaction of shoppers, it allows for more intuitive store layout, and collections that hit the mark every time. The days of the manned checkout are numbered. For retailers, creative retail solutions such as facial recognition’s ability to eradicate queues, build loyalty and streamline the experience at checkout is one of its biggest selling points. Armed with facial recognition tools and AI technology, retailers can move towards cashierless stores that make queuing a thing of the past. It could mean the end of loyalty cards too – opt-in loyalty programmes will mean customers can receive rewards without needing to carry around a pile of cards. Smart mirrors push the idea of instant checkout further. With the ability to purchase items before leaving the changing rooms, or add items to an online wishlist, customers can seamlessly navigate a brand’s online and physical presence. According to Elixiir, “in less than 5 years from now, facial recognition will be one of the main forms of authentication”. But its potential doesn’t stop there. Combined with AI – and with the permission of customers – this technology has the potential to bridge the gap between online and offline, and make personalisation at the heart of the shopping experience.